Saving money is important not only for long-term needs like retirement but also for expenses in the short term. This is because incomes and expenses are not always constant, and people can’t necessarily predict when they will need more cash. A reliable savings cushion is critical when people encounter large, unexpected costs or lose their job—financial “low points” that could happen to anyone at some time during their lives. Unfortunately, people with lower incomes who need savings the most often face greater challenges in the endeavor to set aside funds because they are more likely to have volatile incomes and experience financial setbacks. As we’ve covered in an earlier blog post, Chileans are saving money already, but the funds are predominantly set aside for their retirement. Nearly half of people don’t have enough money saved to cover sudden expenses that fall outside regular monthly needs. Savings can help weather these unexpected financial shocks. We’ve been working with CajaVecina, a widely accessible financial institution in Chile, to find out why. The first step was to interview 30 people of varying age, gender, socioeconomic status, and geographic zone. Behavioral barriers to increasing and maintaining customers’ savings came to light in their responses. One of the key barriers we discovered is that many CajaVecina users tend to underestimate the probability of experiencing financial shocks. When asked if they considered themselves at a low, medium, or high risk of facing a financial difficulty, over 60% of interviewees said medium. Yet 60% also considered the average Chilean to be at a high risk of experiencing financial distress. 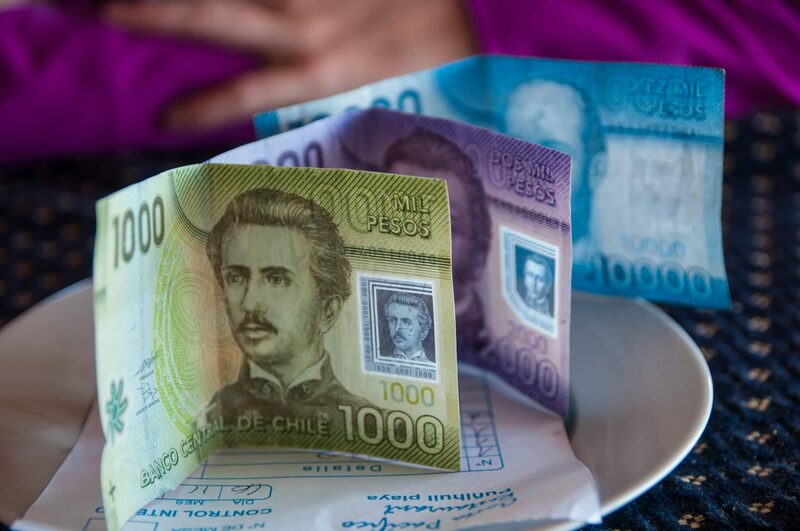 Simply put, they think Chileans generally—but not they themselves—are at risk of facing a tough financial situation. The tendency for people to think they are less likely than others to experience something negative is called optimism bias. Of course, people are unlikely to save money for something that they don’t believe will happen. In fact, interviewees who had previously experienced a financially constrained situation made more effort to save emergency funds than those who had not. Their earlier experience presumably made them less optimistic about their future and thus more likely to save. But even if CajaVecina customers decided to save for a rainy day, they might hit a second barrier we discovered in our interviews, which is the sheer complexity of financial decisions and very little guidance on how to navigate them. Consider one important aspect of the savings equation: how much to save? Accurately answering that question might necessitate creating a budget and tracking earnings, spending, and what’s left on a monthly basis. This takes time, motivation, and some financial expertise. But the average person doesn’t have those things to dedicate to financial planning, which is perhaps why the majority of interviewees expressed generalized savings goals, such as 5%, 10%, or 20% of income or 10,000, 50,000, or 200,000 Chilean pesos per month. Their responses reflect not only a documented preference for round numbers (that may or may not be ideal), but also more importantly the fact that their goals are unlikely to be rooted in specific reasoning. Again, most people don’t have the time or expertise to pinpoint a perfect financial plan and follow through on it, but heuristics, or simple rules of thumb, can help guide them in the right direction and get them started saving right away (better than procrastinating on finding a perfect solution). Examples of financial rules of thumb are Elizabeth Warren’s 50/30/20 rule for budgeting or the common advice to set aside 3 months’ salary as an emergency fund. When we asked our 30 interviewees whether they had basic rules or instructions like these, most of them struggled to come up with a response. After giving it some thought, half of them responded, but mainly with admonitions to be organized and disciplined with expenditures (“saving is more about having willpower,” “avoid unnecessary expenses”), rather than any concrete guidelines (“don’t spend more than 50% of your salary,” “cover your basic needs and save the rest”). This suggests that the financial advice they have received has been vague, which makes acting on an intention to save hard. Optimism bias and a lack of heuristics are just the beginning of the potential barriers we could address to help people establish more emergency funds. In the coming months, we will continue to work with CajaVecina to learn about Chileans’ banking behaviors by analyzing anonymous transaction data. Equipped with knowledge about specific barriers to tucking away money in this context—and behavioral insights for overcoming them—we will next design interventions to help CajaVecina users increase (and sustain) their savings.